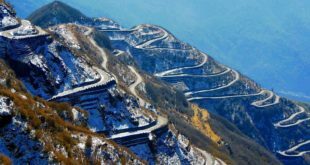 If you have been travelling within India and mainly focusing on its beautiful southern parts, you might not have the chance yet, to experience snowfall. 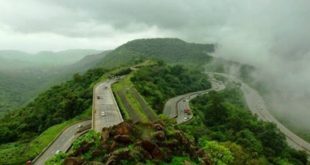 The North East part of India is a perfect escape zone for the soaring South and the harsh North climates. 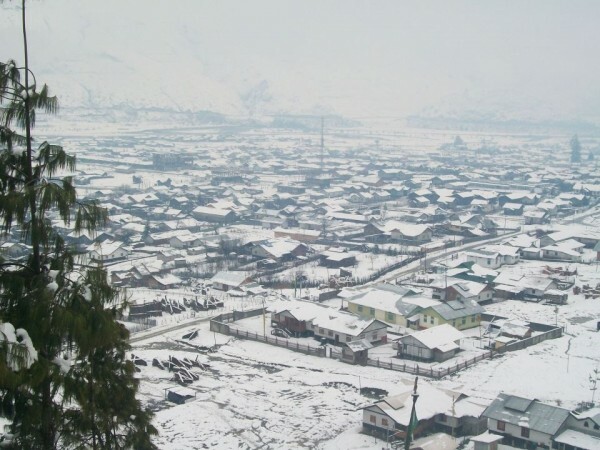 Here we bring to you top 10 places in North East India for snowfall. Due to its geological contour, there is always snow at the foot of the Great Himalayas, with the right type of climate. All you need to do is, visit these places in an appropriate season. Given below are top 10 places in North East India for snowfall. Tsomho Lake, Yumthang is a paradise-like place remains snow-clad almost all around the year. Still the month of April can be considered as a good time for visiting the Tsomho Lake. 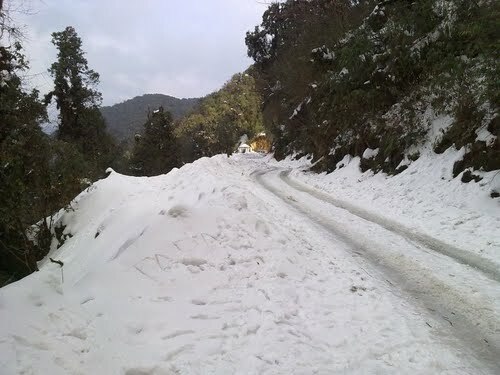 For the rest of the areas in North Sikkim, the months of October to December are great to see snowfall. You might find most of the areas blocked or shut owing to the heavy snowfall. 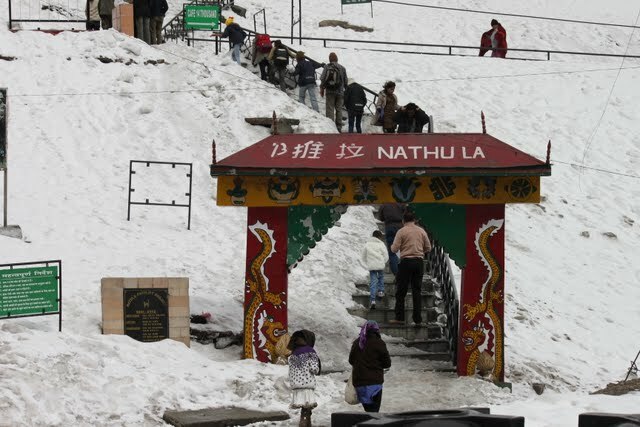 Wonderful to visit between December to February, the Nathu La pass is one of the best places in North East India for snowfall. Its rugged terrain is symbolic of the famous silk route, of which this place is a part. Since, the Nathu La pass is at a very high altitude, trekkers and tourists enjoy viewing the majestic Himalayan peaks such as Mt. Kanchenjunga. This modern North East Indian city of Gangtok in Sikkim, is visited by a huge number of tourists during the winter in the months of December to February. 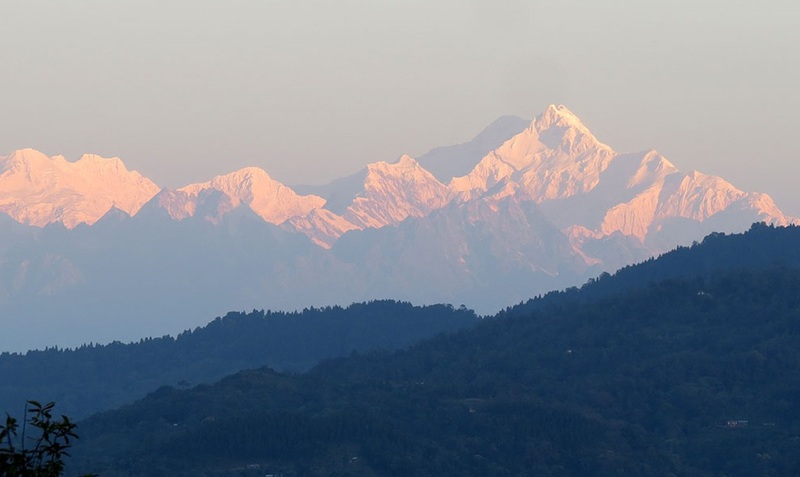 Sitting along the rough mountain ridge of the Himalayas,the city offers a spectacular view of the Mount Kanchenjunga. You will have to travel towards the outskirts of the city to experience playing in the snow. 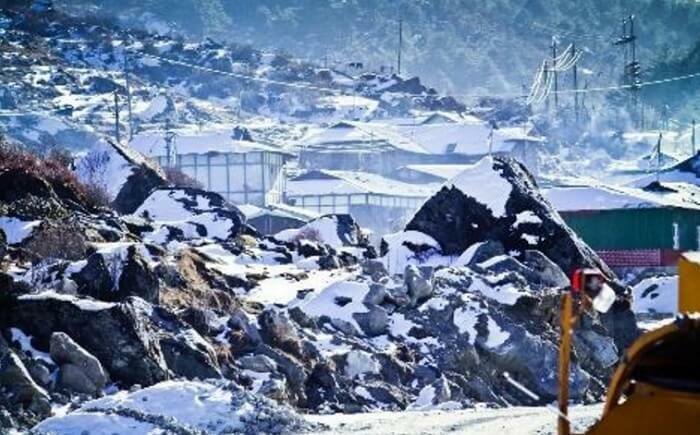 If you plan to travel North East India during the months of December to February, you can find pure white tranquility in the town of Katao, Sikkim. Petite, yet beautiful hill station of Katao is situated 144 km away from Gangtok. 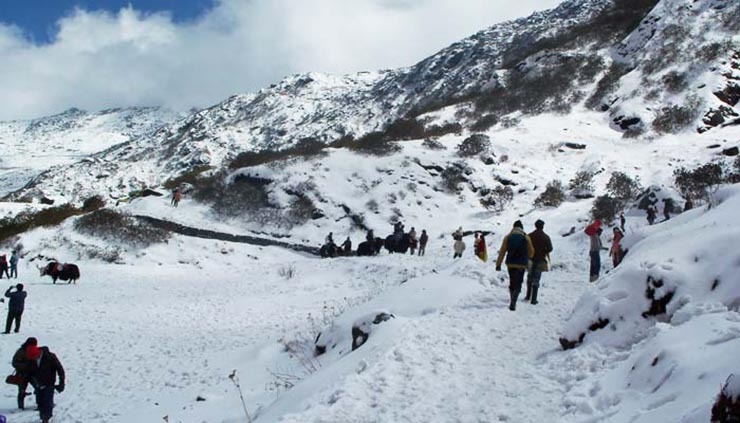 The valley turns into a snowy meadow in the winter season, compelling visitors to call it “Switzerland Of Sikkim”. Do visit the Hot Water Springs during the visit. Tawang in Arunachal Pradesh in North East India is a natural paradise. Experience dense forests and breathtaking waterfalls, against the backdrop of frozen mountains. 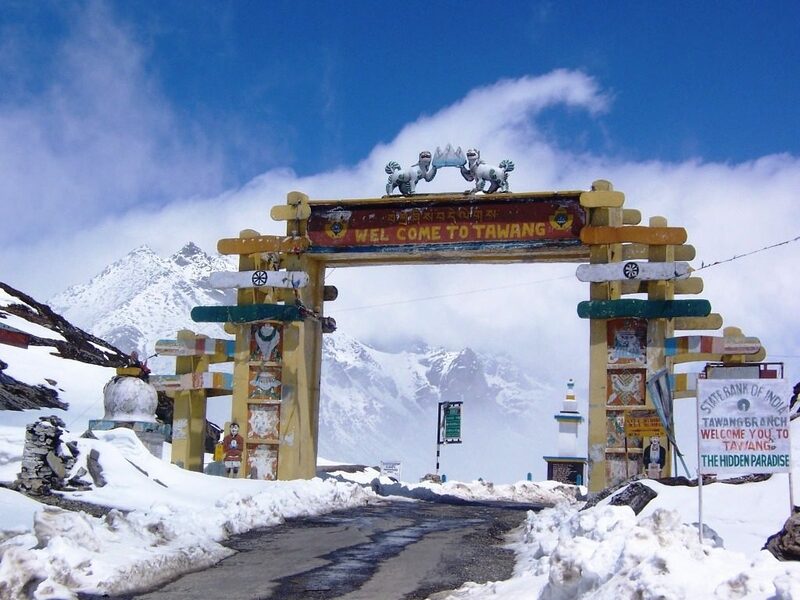 Tawang is mostly visited by snow lovers in December and January, when the snowfall is at its peak. Not only does the natural beauty of the place pacify you, but the 400 year old monastery built there, may leave you up close to the Buddhist culture. 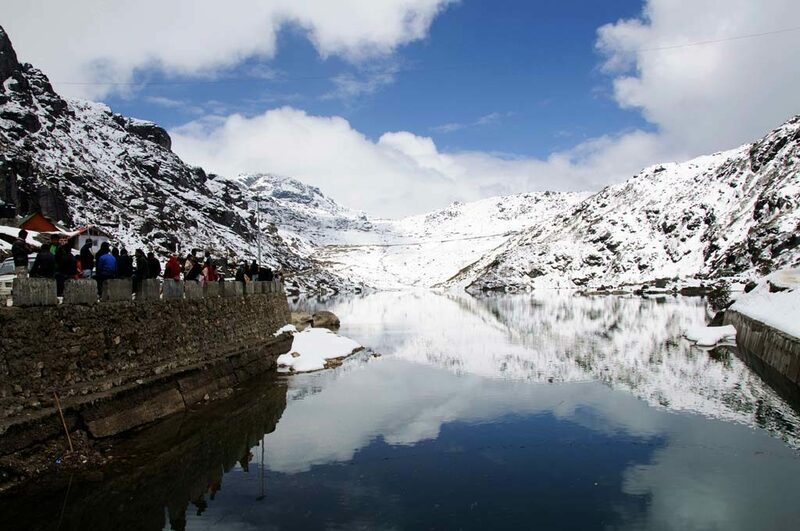 Do not miss a trek to the Sela Pass while in Tawang. 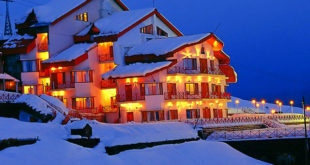 The not very known destination of Lava in West Bengal, is one of the best places to experience snowfall in India. See this tropical deciduous forest with alpine vegetation convert into a wonderland or a snowy fantasy. Trekking, bird watching, and taking a closer look at Mt. Kanchenjunga are some of the things to be done here. The green town of Darjeeling in West Bengal is known for its tea estates and a toy train travel around the town. A very few people might know that this town transforms into a snow-struck hill during the winters. Get to see the Snow Leopards, Tibetan Wolves and Red Pandas at the city zoo. 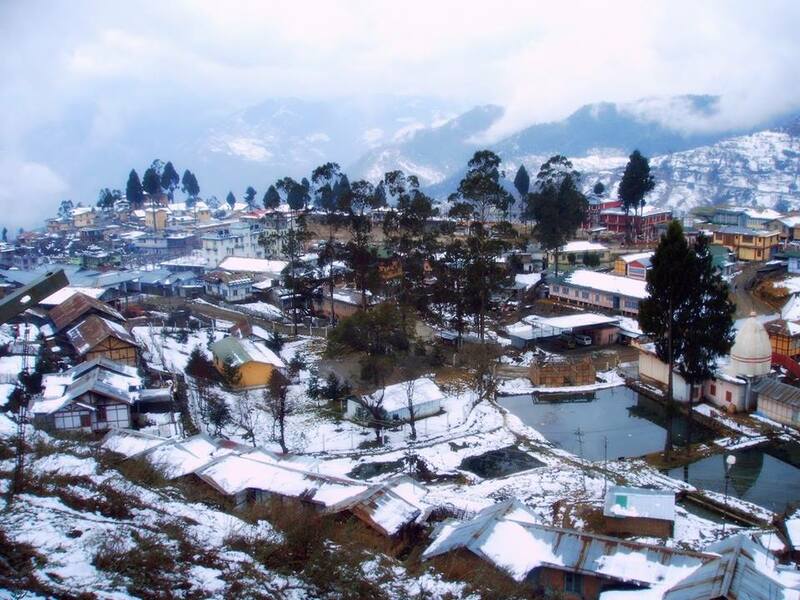 The Bomdila township in Arunachal Pradesh may surprise you with a sudden snowfall, mainly during the winter season. The area experiences chilly weather during December to February. Hence, this place should be kept as a Plan B while on the visit to Arunachal Pradesh. Also called as Menchuka, Mechuka in Arunachal Pradesh is a serene valley located 6,000 feet above the sea level. Experience the snow-capped canopy all year round and a slight snowfall during the winters, which makes the valley look frosted. This amazing area of Mayodia, Arunachal Pradesh, is located in the Dibang Valley. Deriving its name from a Nepalese girl, Maya, who vanished into the snow, this hot tourist spot, is mostly visited during January to February. It is a great trekking destination for adventure lovers. But, it requires permission to visit, owing to its closeness to the Indo-China border. The awe-striking beauty of North East Indian states, famous by the name of the Seven Sisters, are known for their heavenly beauty that makes you feel close to the Almighty. 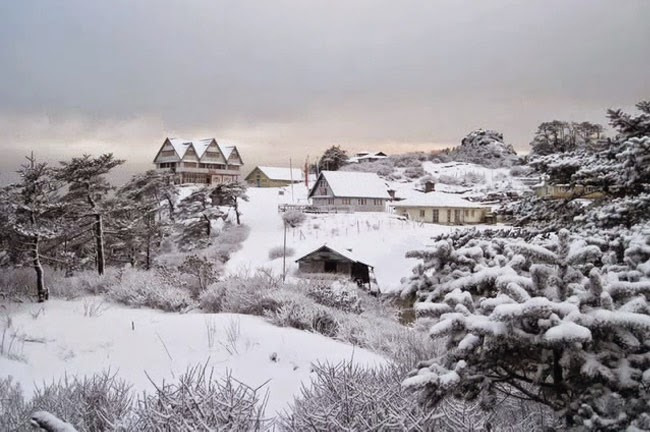 Experience natural beauty along with exciting snow play at these top 10 places in North East India for snowfall.